Today I thought I'd share with you a new little favourite of mine that I bought a little while ago but haven't got around to using...until these past few weeks! I posted a while ago about the Avene skincare for oily skin I had been using and I loved that but I started to find it a tad too matte after sometime and I still like a little hydration for my skin! So for a change I thought I'd try something new. I've been really happy with my Philosophy moisturiser and eye cream I blogged about but really needed an everyday face wash to keep the oils at bay and something which works well for my skin! This is when I found this beauty. I have tried some of the skincare from La Roche-Posay in the past and was pretty impressed with it so I thought I'd pick this up and give it a try. It is a foaming gel for oily, sensitive skin which is soap-free and clears impurities! You only need a small amount and it lathers when you add water to create a lovely foam. After rinsing your skin feels fresh and really clean, leaving your skin soft with no excess oil, but what I loved was how it doesn't leave your skin feeling dry or extremely matte. It wasn't the feel or the way it washed my skin which has made me love this product but the effects it has had on my skin over the weeks of using it, my skin has felt even, clear and I have very little breakouts when using this product! My skin has honestly never felt better. I feel using this face wash for oily skin and pairing it with a more hydrating moisturiser has helped, as I am not banishing all the oils and have found a happy-medium where my skin looks dewy, fresh and clear... which has worked great for me, especially during the summer! I am really impressed overall which is why I needed to share it with you! I think for anyone out there with blemish-prone or an oily skin type this could work great for you, like it has for me! 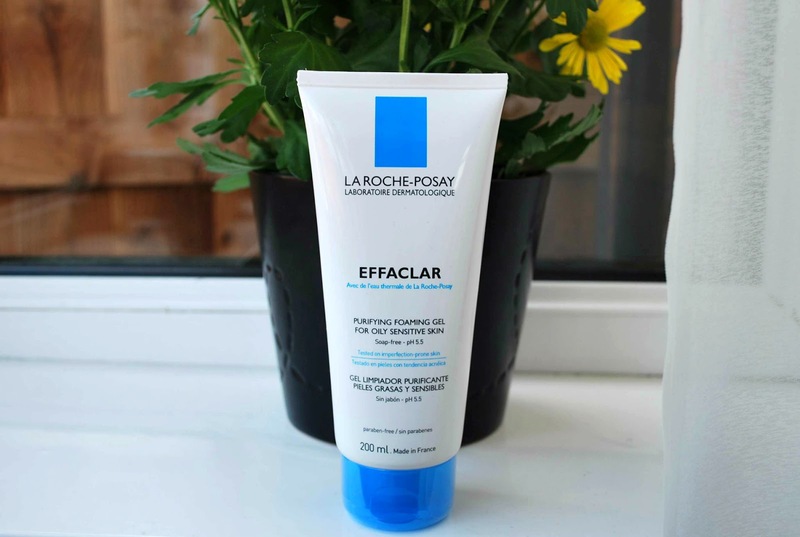 I will definitely be trying more from this brand in the future... Way to go La Roche-Posay!